I'm happy to be sent information about citrusHR products & services. Mental health is one of the biggest issues that UK employers face today. The Health and Safety Executive (HSE)’s latest Labour Force Survey states a whopping 49% of lost working days between 2016-2017 were due to work-related stress, depression or anxiety. The figure is at a record high and whilst poor mental health and stress burnout usually have a combination of causes, any kind of stress has a huge impact on staff productivity and retention, in turn affecting profitability and stability in a business of any size. 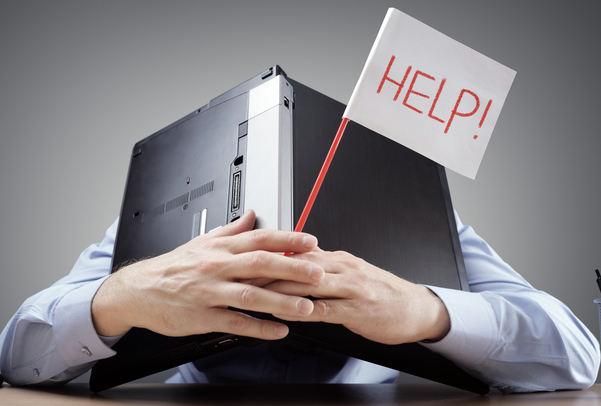 According to the Perkbox stress survey this year, 59% of employed British adults experience workplace stress – by far the biggest cause of stress, with only 9% having never experienced it. 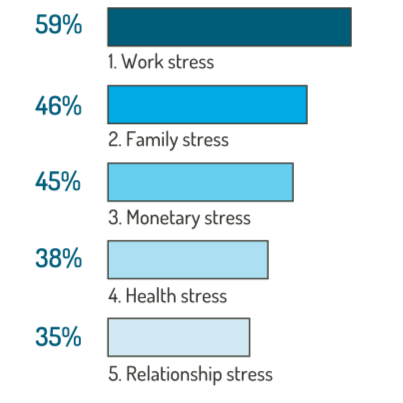 The causes of workplace stress in this survey, include an unrelenting or heavy workload, long hours, onerous procedures, office politics, lack of autonomy or flexibility, lack of reward and tensions with senior staff members or managers. All of these areas can be improved and for the sake of both the person and the organisation, they should be. Why the fuss about stress? Whilst many people take steps to handle stress in their lives, through exercising, healthy habits, sleeping enough and unwinding, left unmanaged, stress can cause real problems. The affected person may, consequentially, be suffering from health problems, sleep deprivation, mood imbalances and an inability to focus, which will only be causing them even more stress. The result for the employer is tangible and even the atmosphere at work may change. Whilst there are many reasons for high staff turnover, poor management is said to be the leading cause. Spotting changes in staff behaviour is an important skill in managing stress. Good managers also take responsibility to ensure their management style isn’t making things worse (or the cause of stress in the first place). On the other hand, an open, balanced and communicative manager will play a key role in a lower turnover and productive, confident staff – all key to a thriving business. If you notice these kinds of changes, instead of jumping to conclusions, find a quiet time to talk to your employee, there may be a cause you’re unaware of. Try and listen in a sensitive and open-minded way to how the affected employee sees the problem and what they think may help. It’s likely that whatever the source of stress is, (if it’s at work) it’s within your control to improve or fix. For example, someone on the team isn’t pulling their weight, technical problems, lack of or inadequate tools or equipment, unclear direction etc. Where action needs to be taken here are some easy to implement ways of promoting a low-stress workplace. Many of these suggestions are low-cost or no-cost ways to reduce workplace stress and will benefit the whole team. If you do decide to raise wages or get extra temporary help both would cost less than losing good employees and having to replace them. We also provide HR software that streamlines and simplifies HR, helping you regain valuable time and mental energy to address things like employee stress. Join thousands of other businesses and get helpful, practical advice on tricky HR issues delivered straight to your inbox.